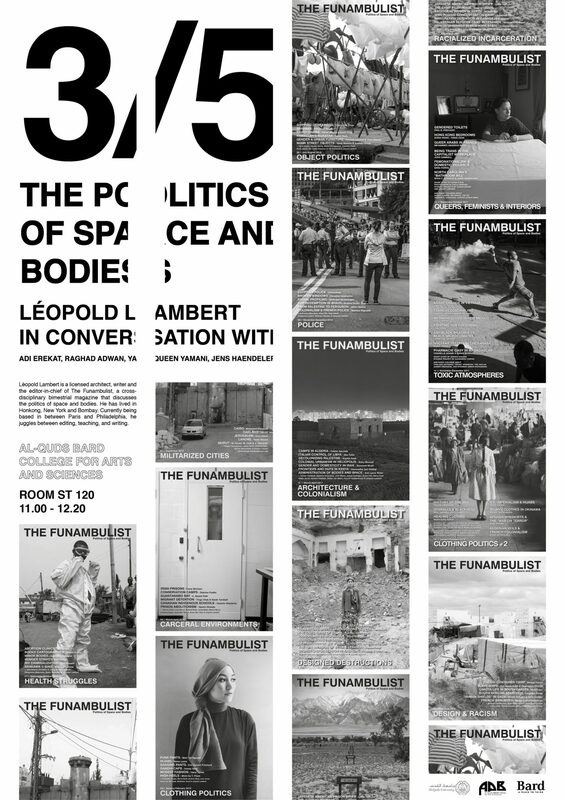 On the 5th of March 2018 we will enter into an open conversation with Léopold Lambert, a licensed architect, writer and the editor-in-chief of The Funambulist, a cross-disciplinary bimestrial magazine that discusses the politics of space and bodies. He has lived in Honkong, New York and Bombay. Currently being based in between Paris and Philadelphia, he juggles between editing, teaching, and writing. Join us for this open conversation in room ST 120 at Al-Quds Bard College for Arts and Sciences. To read the brilliant magazine The Funambulist, look <here>.